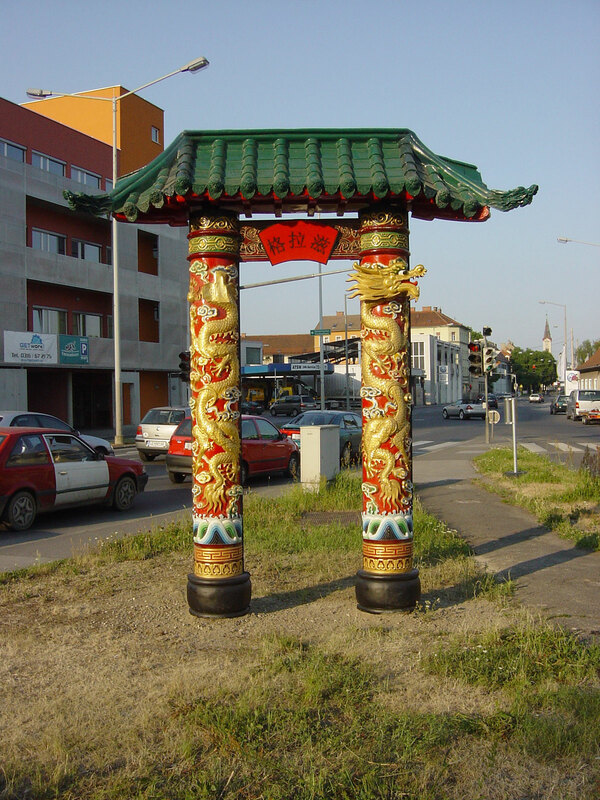 A Chinese gate, with strange proportions. The ‘backside’ is black like a theatre backdrop: One dragonhead is missing. 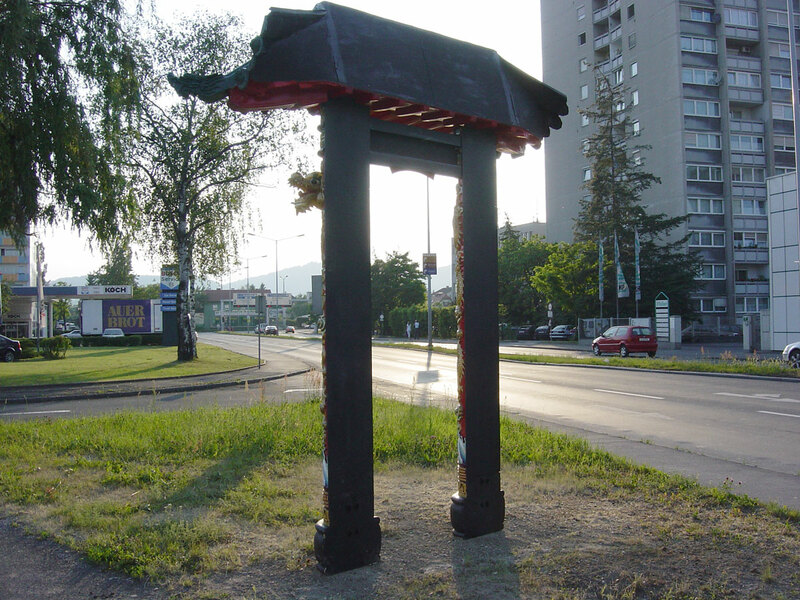 Temporary installation during the European Capital of Culture Graz (AT). 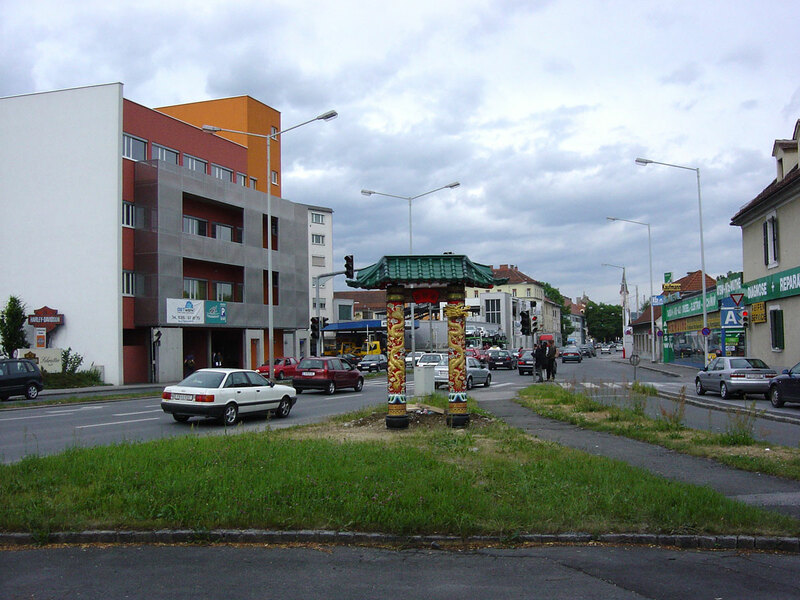 The gate is (in the middle of ‘nowhere’) next to a driveway into the city.